Mark Zuckerberg testifies on Capitol Hill. Photo: Alex Wong/Getty Images. Lawmakers in the House forced Facebook CEO Mark Zuckerberg into several awkward moments on Wednesday as they aggressively pressed him to answer critiques of the social giant. Why it matters: Zuckerberg got out of his Tuesday Senate hearing unscathed, but Wednesday's House session has proven more challenging. Still, there haven't been any dramatic moments that will sink Zuckerberg or signal that real regulation is fast-approaching. Zuckerberg said he was among the 87 million people whose data was illicitly gathered by Cambridge Analytica. Zuckerberg avoided committing to several potential changes that lawmakers asked him about, including tweaking settings, its business model and adding an African American member to its leadership team. Zuckerberg admitted that the company “sometimes” learns of major data abuses from press reports instead of its own accountability measures. That includes the Cambridge Analytica data breach. Lawmakers' early critiques of Facebook were pointed. "While Facebook has certainly grown, I worry that it may not have matured," said committee Chairman Greg Walden. On Facebook's privacy policies: “Let me just add that it is a minefield. 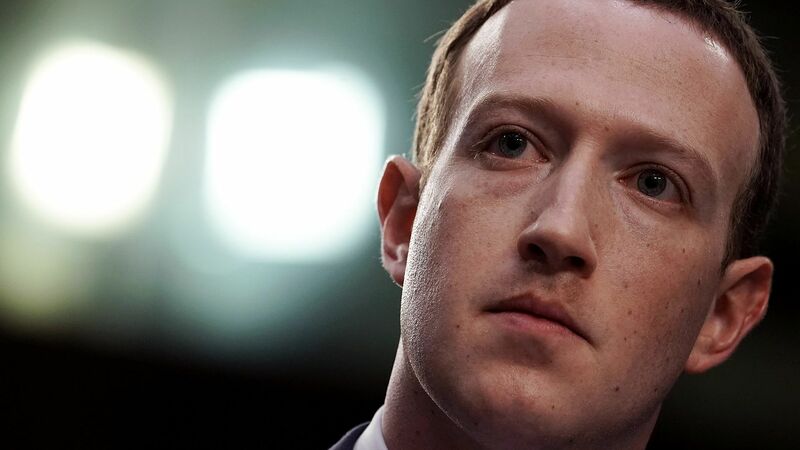 In order to do that, and you have to make it transparent, clear, in pedestrian language, just once," said Rep. Anna Eshoo, after Zuckerberg explains how users consent to having their data used by third parties. On its business model: Rep. Bobby Rush (D) asked Zuckerberg what the difference was between the methods of Facebook and J. Edgar Hoover. Eshoo asked Zuckerberg whether the company would change its business model to protect individual privacy. "Congresswoman, I’m not sure what that means," he responded. Data collection: Top House Energy and Commerce Committee Democrat Rep. Frank Pallone asked Zuckerberg if the company would change users' default settings to minimize data collection. The CEO wouldn't commit. "Congressman, this is a complex issue that I think deserves more than a one-word answer," he said. On pro-Trump YouTubers: Several Republican members asked about allegations that Facebook limited the reach of videos from pro-Trump bloggers Diamond and Silk. Facebook has said that was a mistake, and Zuckerberg reiterated that. Conservative censorship: House Whip Steve Scalise brought up the prospect of a broader bias against conservative views at the company. "There is absolutely no directive in any of the changes that we make to have a bias" in Facebook's work, Zuckerberg said. Go deeper: What he didn't say on Tuesday, and a look at his Senate performance.